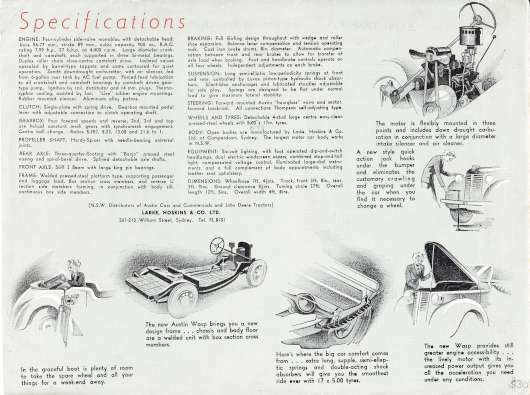 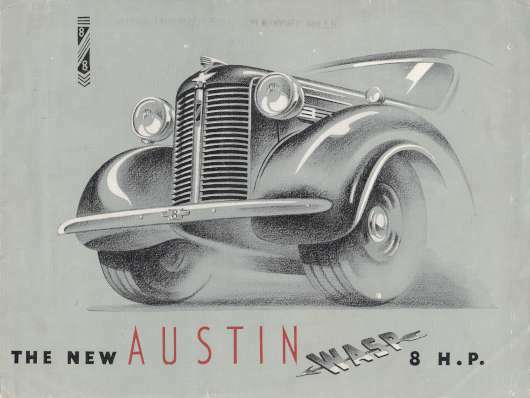 Below you will find the images of a rare Austin Wasp brochure in colour. 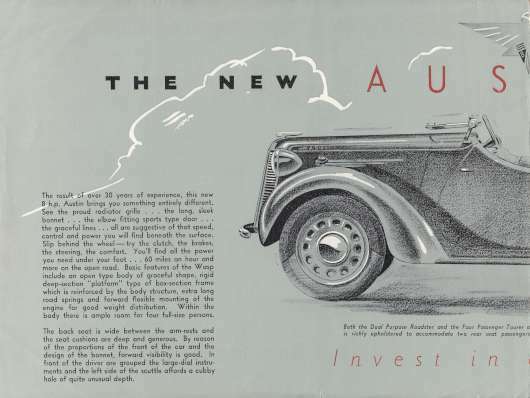 The Austin 8 was manufactured in Australia, on a chassis send from UK. 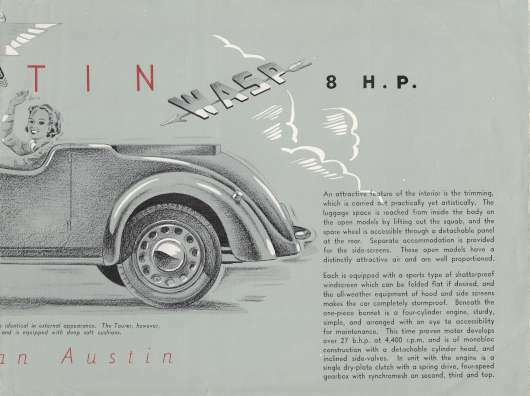 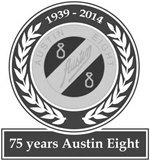 These Austin Eights were manufactured by Larke Hoskins in Sidney Australia under the name of Austin 8 WASP.